My personal gift to the teachers were the pens, but I volunteered to help with the class gift to the teachers. Okay, I didn't just help, I kinda hijacked it! I have a tendancy to do that, so sorry if I offended anyone. 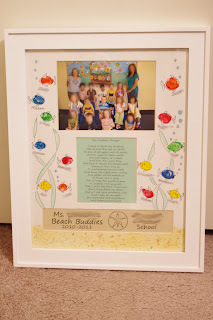 The original idea was to just cut the frame to include the class photo and "The Teacher's Prayer." Well, as you can see it transformed into something different, but totally amazing! I have obscured the names and faces of all but my son for safety reasons. 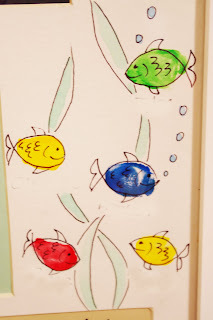 I had seen somewhere (and I have no idea where) about turning thumbprints into fish. I have been dying to figure out a time to use it. I offered the idea up to the room mom and it was greeted with much enthusiasm (I love people that just let me run with my sometimes crazy ideas)! The room mom helped me thumbprint the kids and wrote all their names on the mat that I had custom cut. 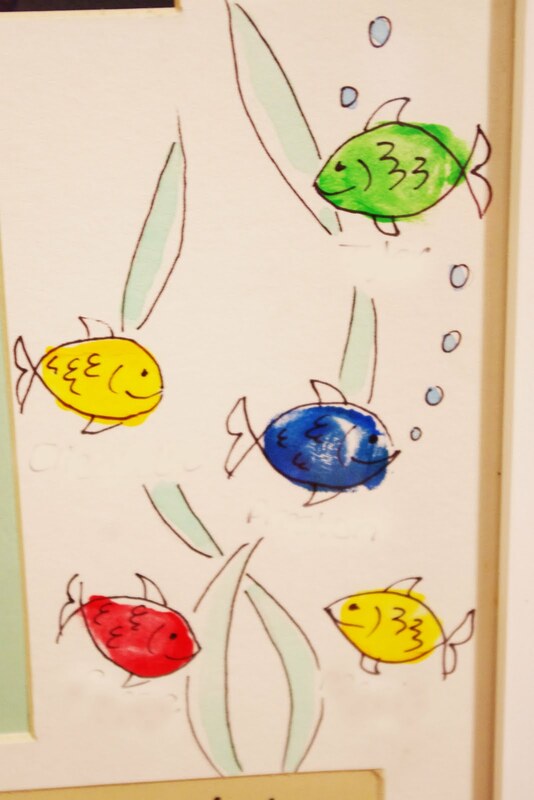 The fish look FABULOUS! 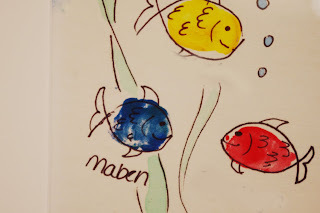 The theme of the class for the year was Beach Buddies, hence the decision to use the fish. 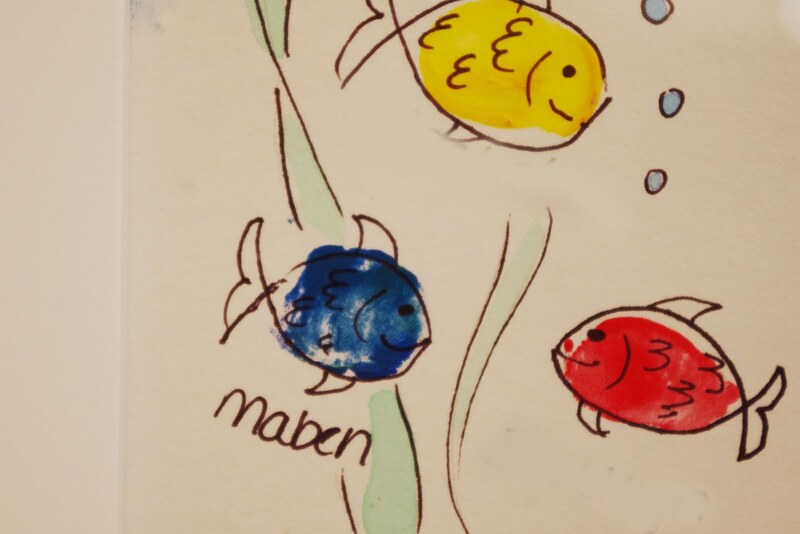 Once all the fish were complete, I thought it was still missing something. It was just too plain, so I decided to see how well watercolor would take to mat board and turn it into an ocean scene. At the bottom, I spatter painted in some sand. 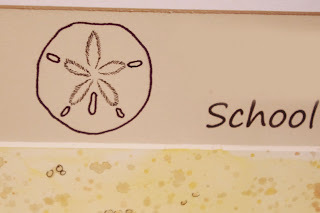 I tried to match as best I could to the name area. 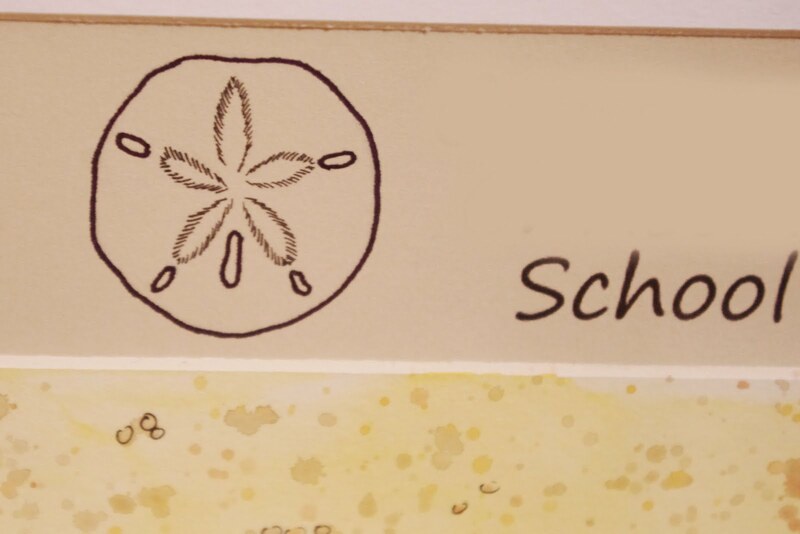 I also needed something to break up all the wording, so I drew a sand dollar. 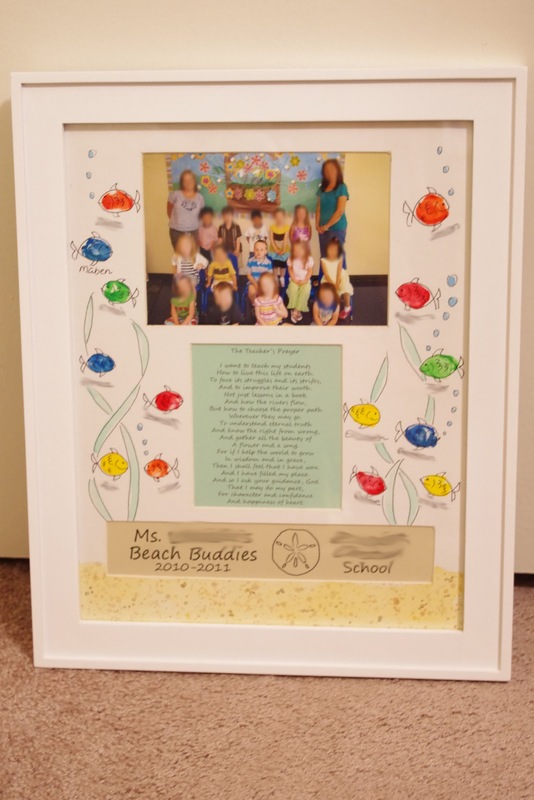 The teachers loved their gift and I was so excited to be able to help present them with such a wonderful and personal gift. These teachers are amazing and deserve to feel special because they are loved. We will miss seeing them around this summer, but I look forward to seeing them next year.